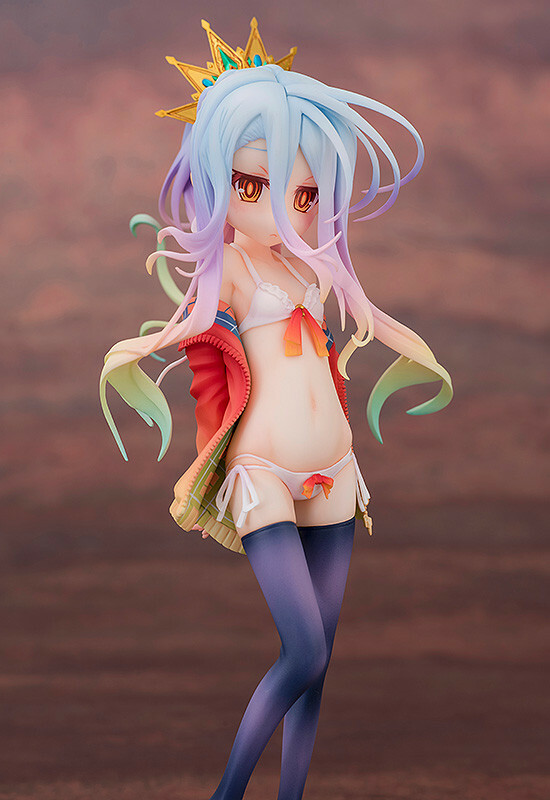 From 'No Game No Life' comes a figure of the young princess of Imanity - Shiro wearing her swimsuit! On her head she wears an intricately detailed crown with her beautiful multicolored hair flowing out around to the sides. 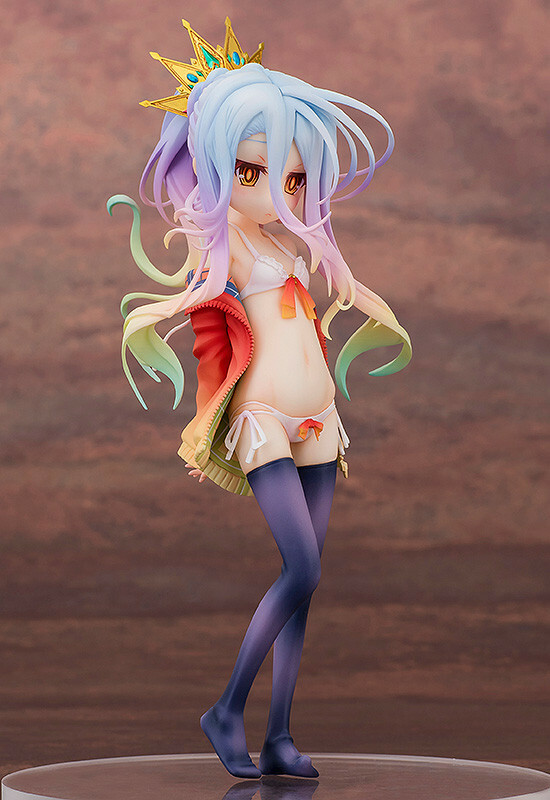 Together with her cute swimsuit, she is wearing a hoodie that is slowing slipping off her shoulders. 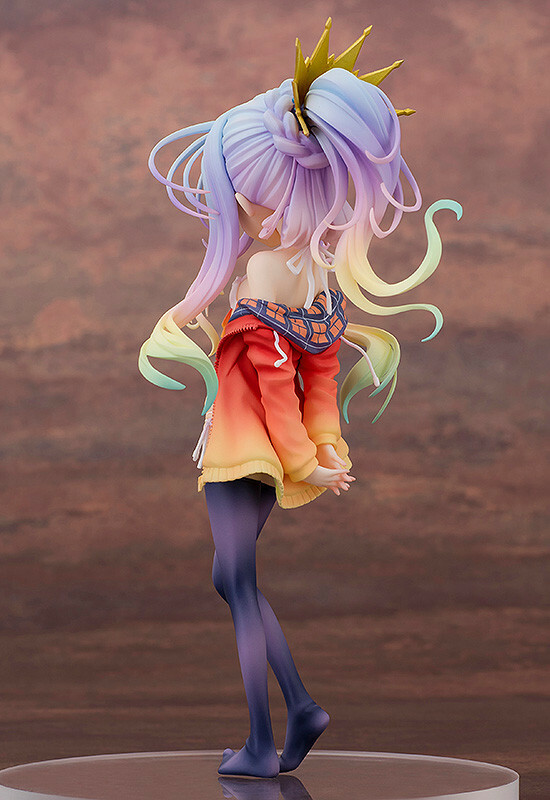 Her intricate hands and feet have been preserved with the utmost detail, and the somewhat wistful look in her eyes and sullen expression have been carefully included to capture her personality in the figure. 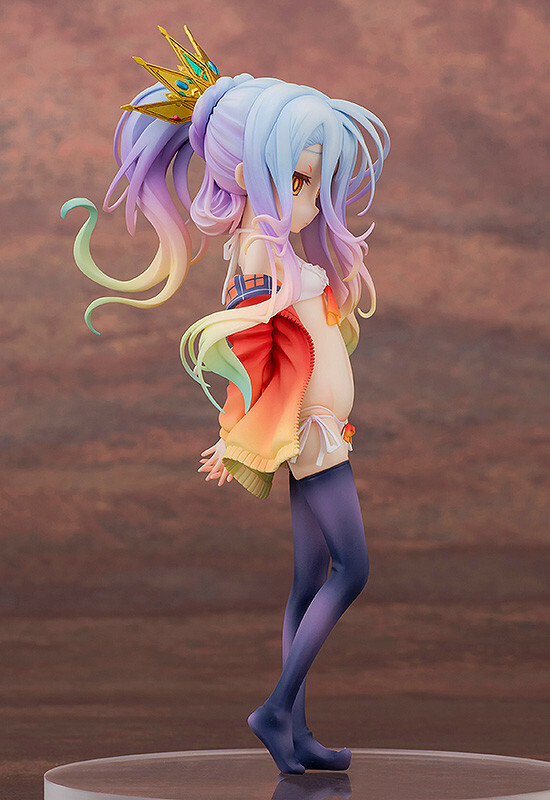 The various different colors and gradients across the figure all come together to create an unbelievably cute Shiro for fans to enjoy in their collection! Painted 1/7th scale ABS & PVC figure with stand included. Approximately 200mm in height. Preorders will be open from 3th December 2015 (Thu) from 12:00JST until 13th January 2016 (Wed) at 21:00JST.